TRANSMISSION-EBSD – Taking Transparency to a New Level. 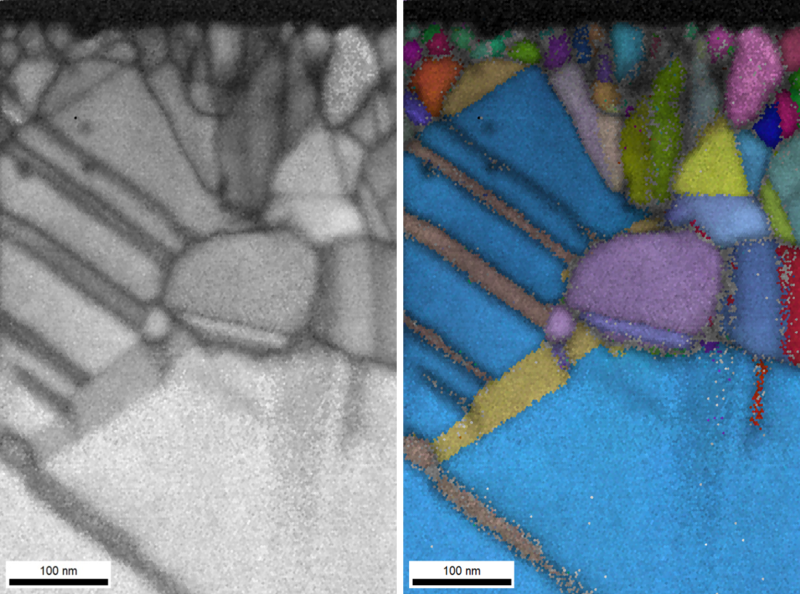 EBSD on electron transparent samples is quickly becoming the next big thing in orientation measurement techniques. In the literature you may find it described as TKD (Transmission Kikuchi Diffraction) or t-EBSD and there is actually a bit of a debate going on about what the proper name is for the technique, because calling a forward scattered transmission technique by a backscattered diffraction acronym may seem a bit incongruous. 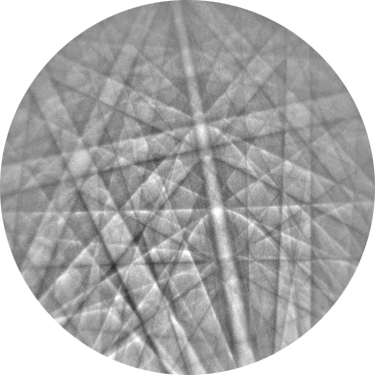 Personally I like the name transmission-EBSD best as that name describes exactly what the technique does: getting diffraction patterns in a transmission geometry that may be analyzed with a conventional EBSD system. And I think that a good descriptive name that people will recognize is worth a little incoherence. 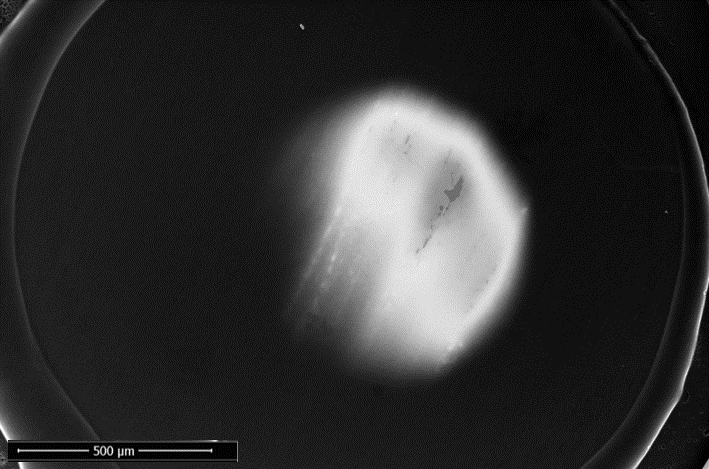 TKD for me points a little too much to a TEM imaging mode that many people may not recognize as a SEM-based technique. Anyway, knowing what a name means does not necessarily describe what you can actually do with a technique. A few years ago t-EBSD started to gain popularity due to the improved spatial resolution that it offers. 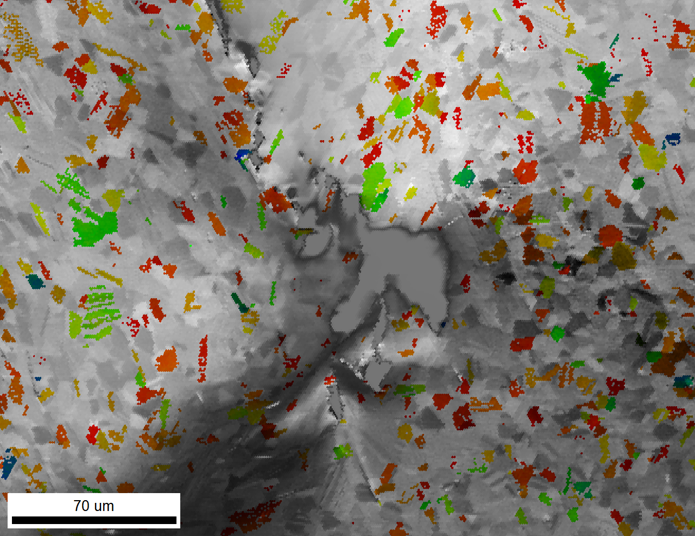 For standard EBSD on bulk samples the lateral resolution is mainly determined by the formation depth of a virtual point source in the sample combined with the effective beam diameter. 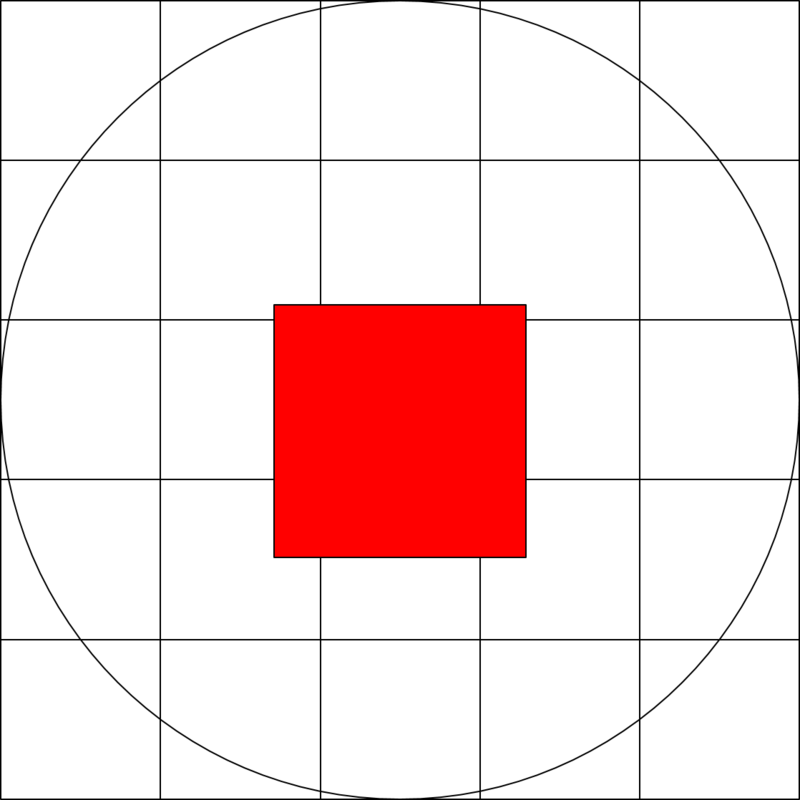 Typically the resolution ranges from about 15 to perhaps 75nm. 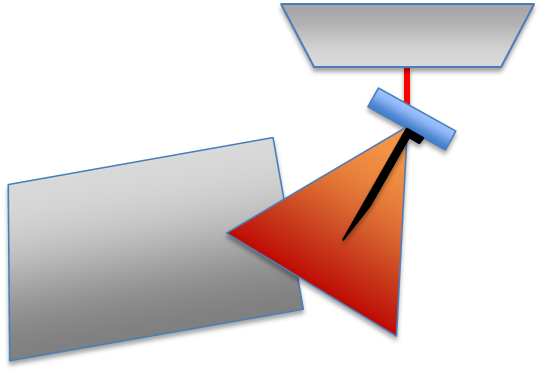 One of the parameters that affects the resolution in standard EBSD is the 70 degree tilt of the analysis surface as that causes the intersection of the beam with the sample to become an ellipse that is three times higher than wide. 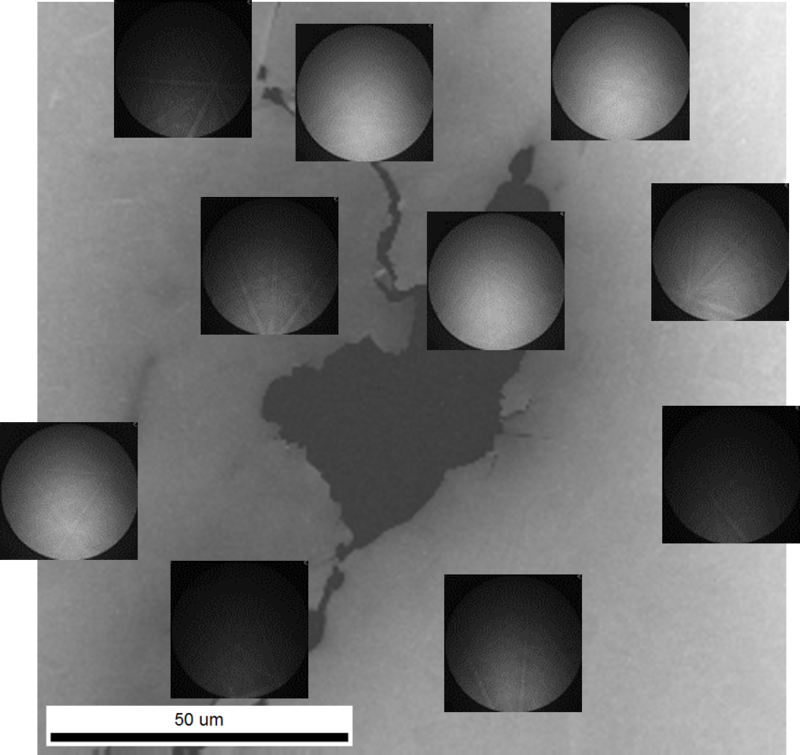 When you collect EBSD patterns in a transmission geometry the parameters that govern the effective lateral resolution are different: the accelerating voltage, the specimen foil thickness, and material density, all of which together define the effective beam diameter at the point of exit from the sample. And that corresponds to the obtainable lateral resolution. The beam shape is less important. 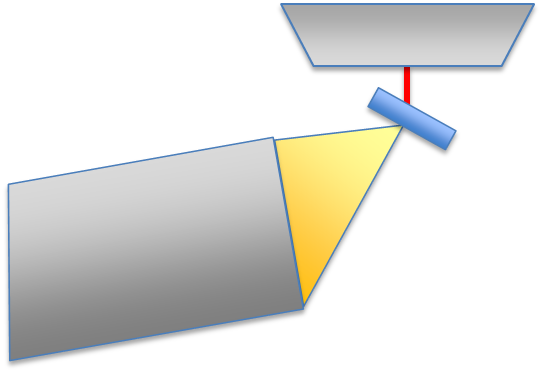 When the sample is mounted horizontally the beam-sample intersection is circular, but even at a -40 degree tilt, the aspect ratio is still only 1 : 1.3. And that is a nice bonus as the intensity distribution on the EBSD detector is much more homogeneous at -20 to -40 degree tilt which allows for excellent indexing performance. The smaller information volume will give the user a significant resolution improvement which allows successful orientation analysis of previously inaccessible nanomaterials and extremely deformed samples. 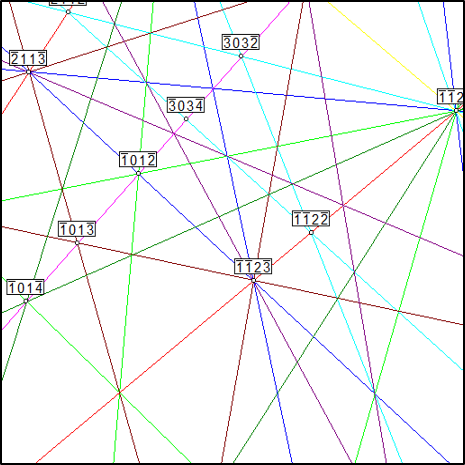 But that is not all you can do with t-EBSD. It also opens up a host of combined applications where electron transparent samples are involved. The most obvious to me is looking at TEM specimens before doing any detailed work in the transmission electron microscope. 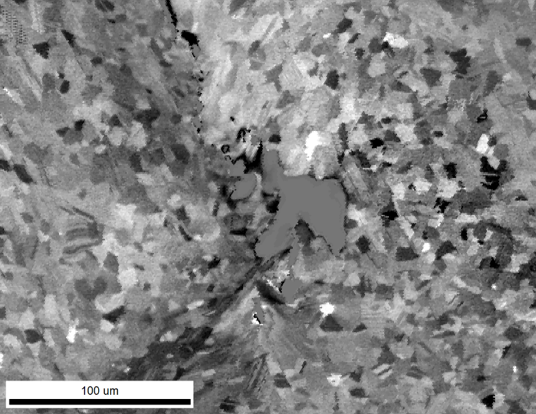 Figure 3: SEM SE image of an electro-polished TEM foil of AlTi3-TiAl3 alloy. The grain microstructure is not easily recognizable. (specimen courtesy of Klemens Kelm – DLR Cologne, Germany). 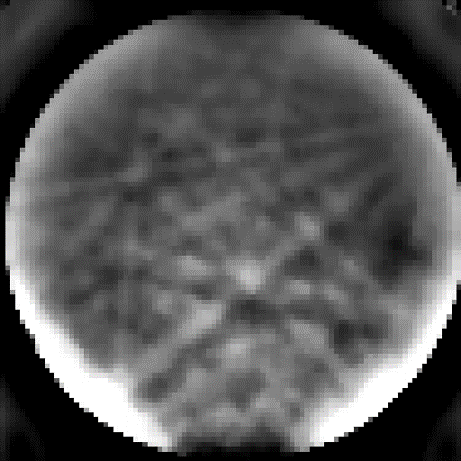 Many imaging modes in materials science TEM analysis such as weak beam dark field dislocation analysis depend on specific grain orientations. Finding these orientations or crystallographic zone axes required for certain diffraction conditions in the TEM can be very time consuming, and thus expensive. Furthermore not all grains that you try to orientate may actually have the desired zone axis within the tilting range of your specimen holder. And when that happens all the work and time spent to find the orientation for that particular grain has been wasted. This is normally not too bad for highly symmetric cubic materials, but it will become a challenge on for example hexagonal Ti and Mg alloys and many low symmetry ceramics and minerals that have a limited number of “usable” zones. And this is where t-EBSD can help as identifying orientations is exactly what EBSD is designed to do for you and rapidly too. 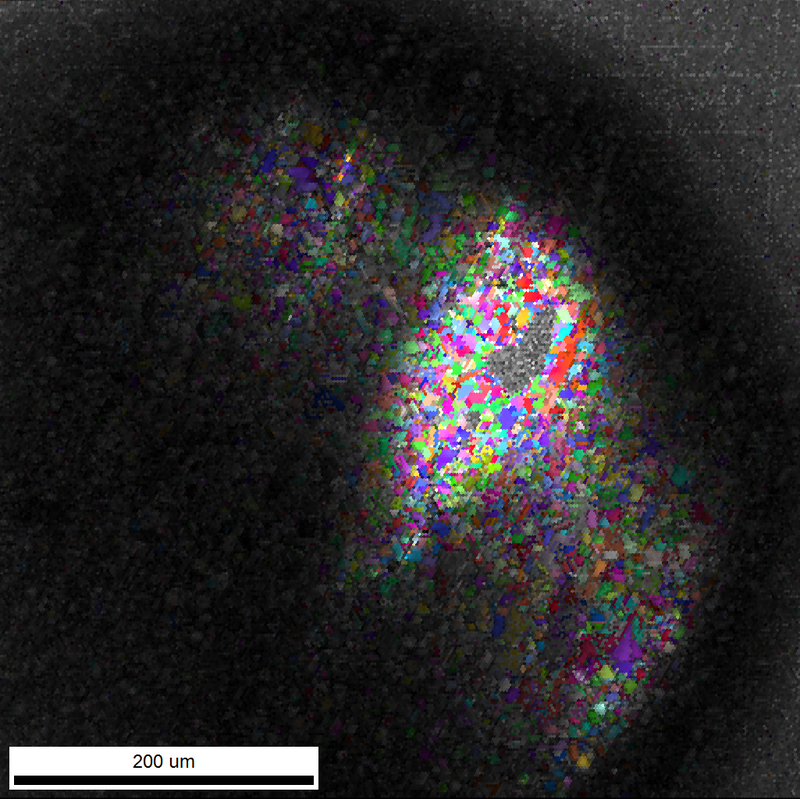 Just imagine that you can analyze your sample with low resolution t-EBSD to prepare a full orientation map of all electron transparent areas so that you know which grains are usable for your diffraction analysis before going to the TEM. When you want to do this there are a few things to keep in mind. First, the EBSD pattern quality varies strongly with specimen thickness and you will need some special background processing to obtain indexable patterns. 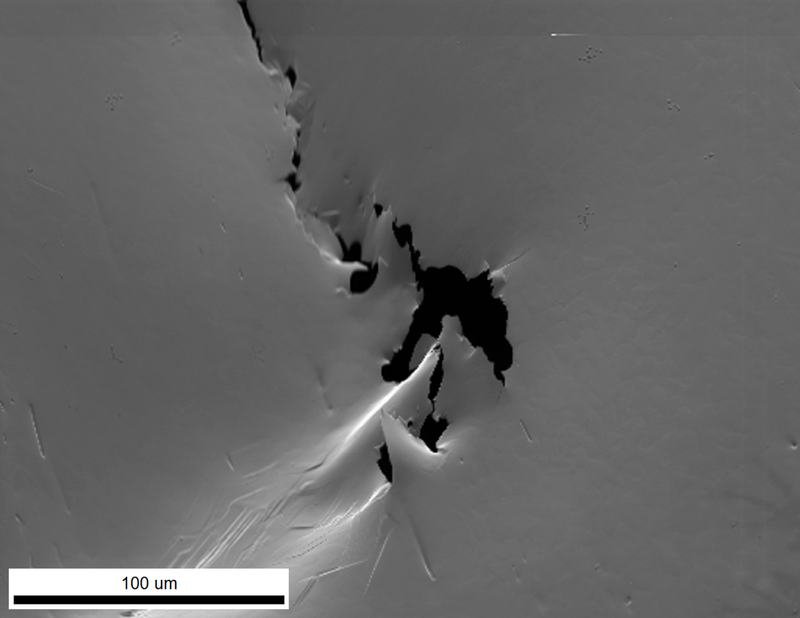 Also, EBSD patterns are projected more or less sideways onto the EBSD detector and not straight down as in the TEM. So if you want to use the EBSD indexing results to identify specific zone axes that would be accessible in the TEM you cannot just look at the crystallographic zones that are visible in the pattern. You always need to rotate a simulation of the measured pattern to the TEM geometry to identify the zones within a certain angular distance to the optical axis. 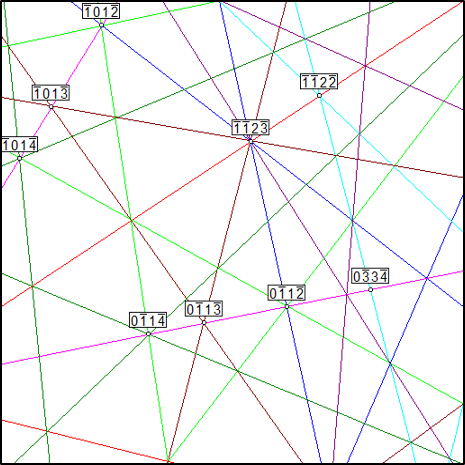 Figure 6: Actual EBSD pattern after special background processing with indexing result and pattern simulation. The corresponding TEM projection can then be obtained by rotating the simulation. 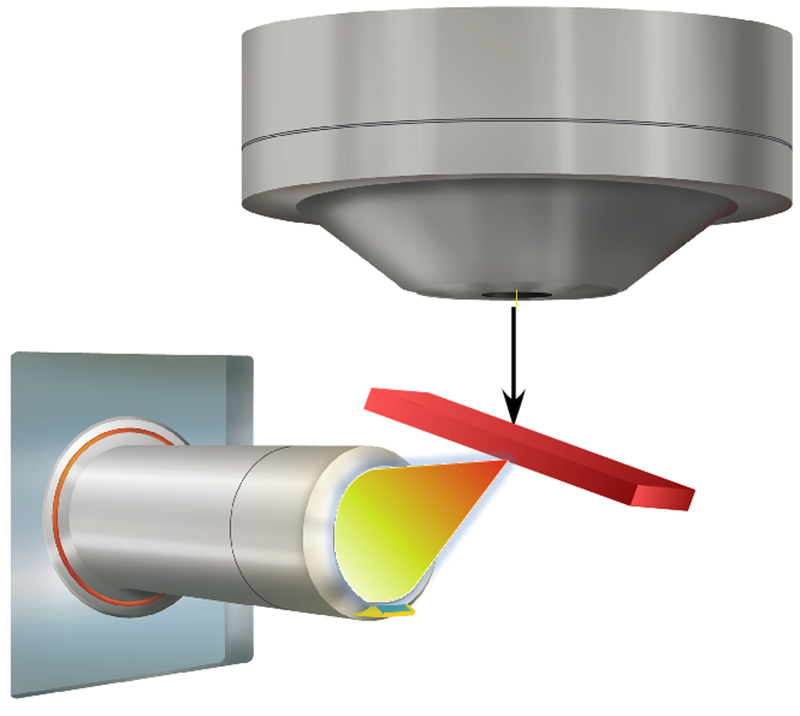 When the tilting range of the used TEM specimen holder is now superimposed on the rotated simulation, the zones that are within tilting range may be determined together with the required rotation angles. When the required zones are not generally accessible in all grains, you can use the full EBSD map of the sample and generate a crystal orientation or crystal direction map to identify which grains can be used for your TEM diffraction analysis. 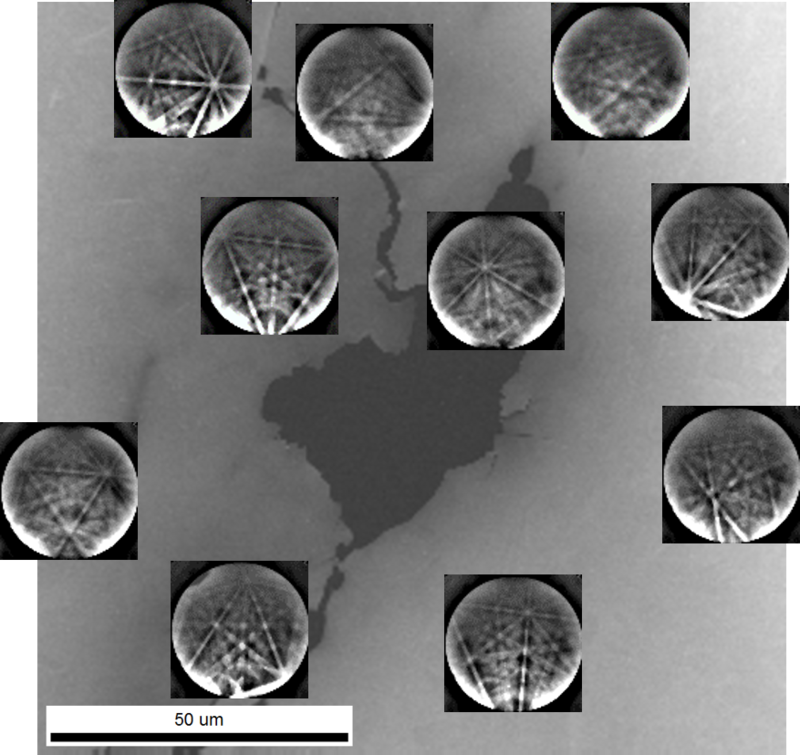 An important thing that still remains is the correlation between the SEM and the TEM images. 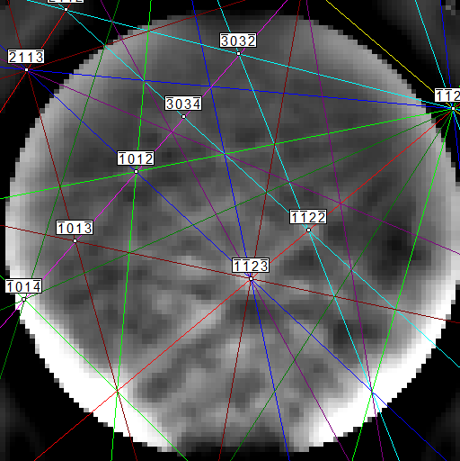 And for that purpose a series of dark-field STEM images may be collected using the PRIAS imaging mode. From this sequence of images a custom combination can be selected to display the best grain contrast to help navigating the sample in the TEM. I meant to leave my comment on this article. Excellent work, thank you for this, Rene!